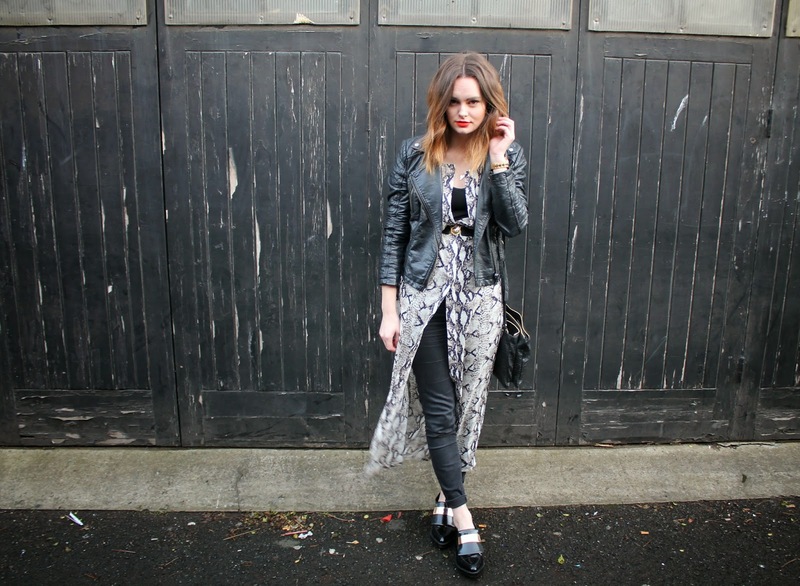 So here I am with a brand new outfit post for 2015! I have never been one for joining the crowds for the (hellish) January sales, the most effort I can muster is browsing online. However, I had my first day back in the office last week and feeling the January blues I took myself off to Topshop on my lunch hour, to see if I could get anything with the vouchers I'd acquired from my generous family over Christmas. I seen this snake print number, discarded, hanging lonely on it's own at the end of a random sale rail. At first I wasn't sure whether it was very me, but as I held it up in the mirror I suddenly had to own it! Down from £58 to £25 in the sale meant I didn't have to put any of my own money towards it either! Win. 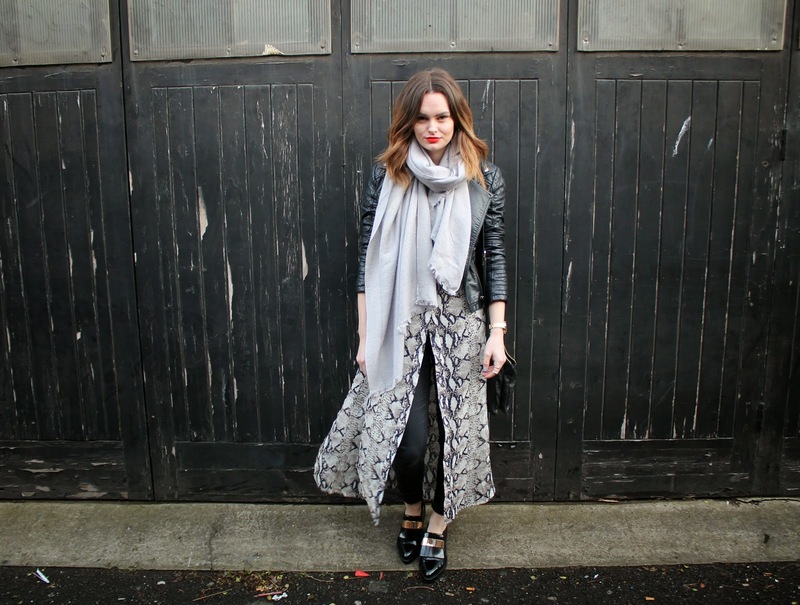 I wore this on NYE with heels but dressed it down this weekend, layered with my trusty leather and skinny jeans. What do you think? 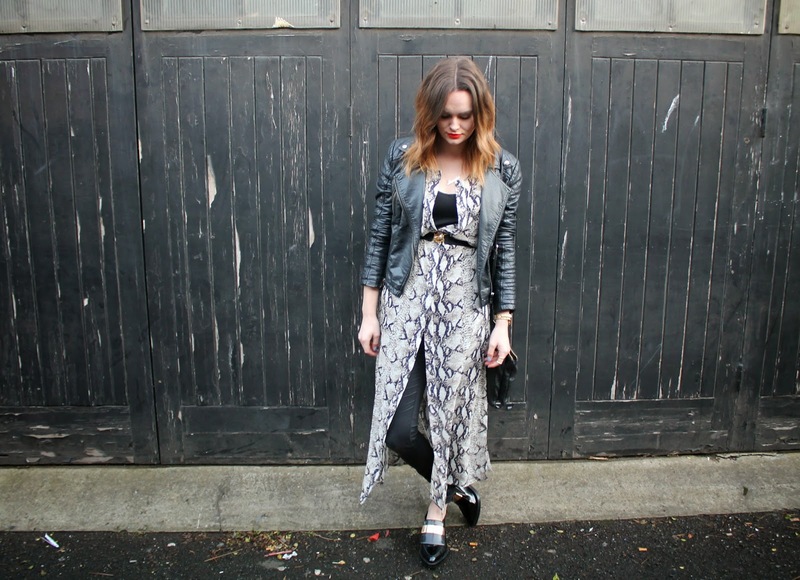 Love how you've styled this, I have the same Goldie dress but in a floral sort of print! Will definitely try it with black skinnies next time. 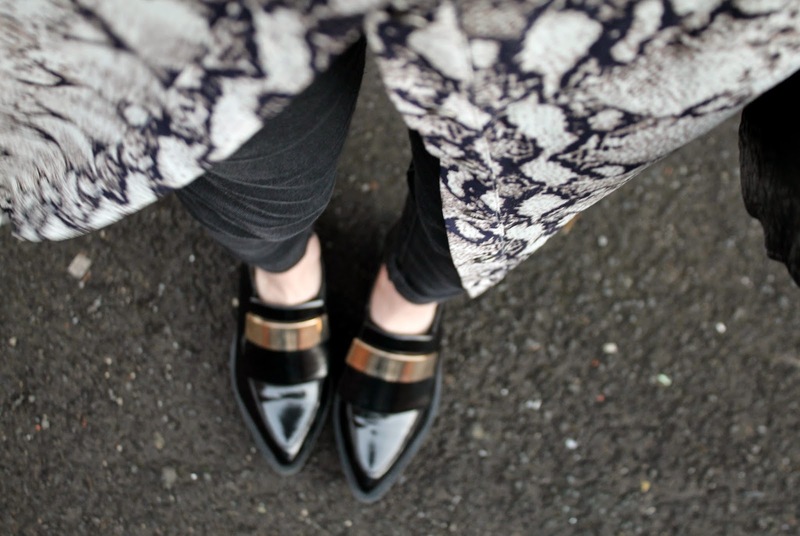 I love these shoes so much, identical to the Marni pair! Gorgeous look.